Rev your engines and get ready to burn some rubber on an exhilarating supercar drive at the Gateway Motorsports Park! Rev your engines and get ready to burn some rubber on an exhilarating supercar drive at the Gateway Motorsports Park! 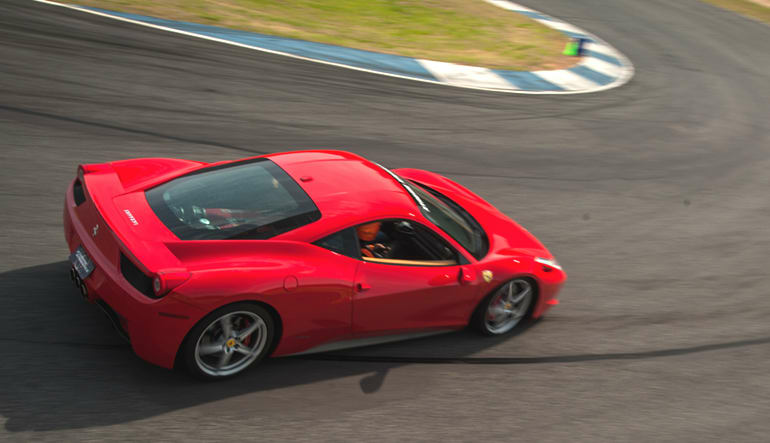 Designed for aerodynamic efficiency and reduced drag, the Ferrari 458 Italia is the speed demon of your dreams. 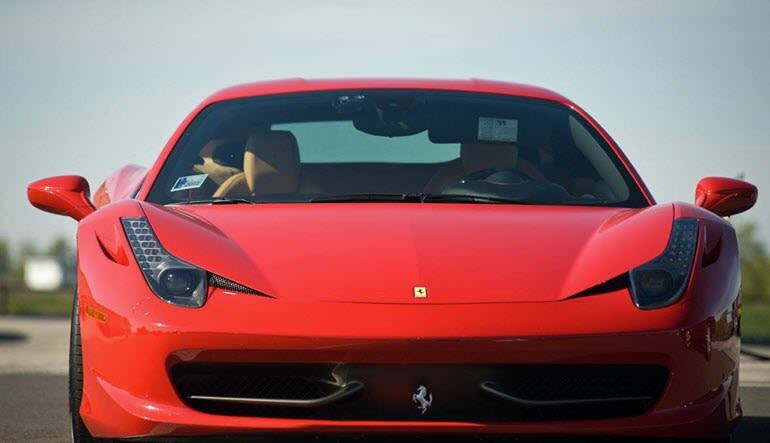 Incorporating Formula 1 racing technology developed exclusively by Ferrari, the 458 Italia combines aggressive speed and precision handling for the ride of a lifetime with a 4.5 liter V8 Ferrari/Maserati F136 engine featuring direct fuel injection and an ideal dual-clutch 7-speed transmission. After an instruction session where you’ll learn not only the in-depth features and handling of this awesome vehicle but also the details and layout of the track ahead of you, you’ll be ready to get behind the wheel and power from 0-60 in a mind-blowing 3.3 seconds. And as the largest outdoor entertainment facility in the region, the Gateway Motorsports Park is the perfect venue to experience what it truly feels like to be a master of speed. Boasting 1.6 miles of asphalt road course with more than 7 challenging twists and turns, the Gateway Motorsports Park not only lets you experience speed but also get a great feel for maneuverability of this amazing car. Take driving to the next level with 3,270 lbs of power and precision at your fingertips. With a 570 horsepower engine that redlines at an astounding 9,000rpm, the Ferrari 458 Italia guarantees you an adrenaline-pumping drive. 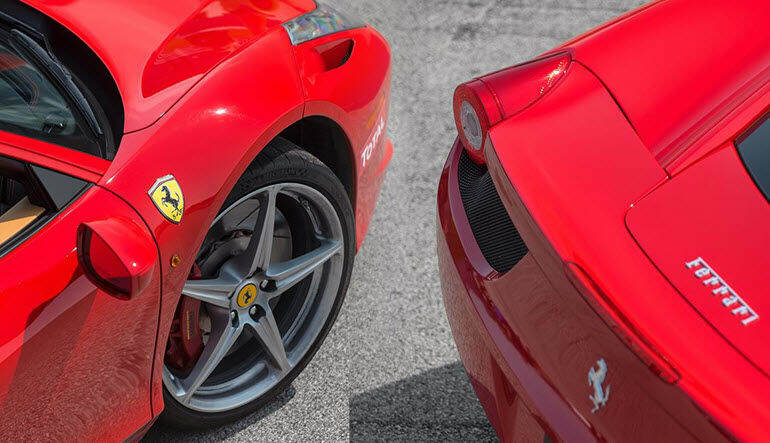 Dominate the course like a pro thanks to this outstanding supercar’s double wishbone suspension and F1-Trac traction control system for exceptional cornering and acceleration up to 202mph. Put the pedal to the metal for an experience you’ll never forget! Maximum weight of 350lbs and maximum height of 6'3"
Please note that this car fleet travels the country and so is only available at this location on select dates throughout the year.